In the field of realty, there are a lot many factors to be considered by both the parties namely builder and the customer. Let us first focus on the builder as he needs to select that land that comes easy on the pocket and has the required potential of appreciation and the infrastructure development. 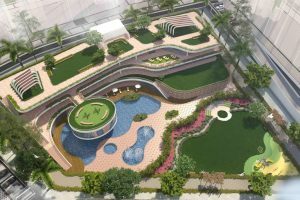 Next in the line is finalizing the list of amenities and facilities, deciding on the price points of the project, launch date, marketing, and promotional strategies and plan, and working on the factors on how to capture the target audience in the best possible manner. And when we come to talk about the customer’s point of view, he has to select the developer that has a renowned name and identity in the market, offers the projects that are ergonomically planned and designed, and provides the excellent levels of customer service and overall experience. And of all the factors and aspects that are to be viewed upon by both the parties, location is the most significant one as it is the deciding factor of the price appreciation and the infrastructural and the overall development of the project that affects both builder as well as the customer. And when we come to talk about the factor of location, the city of Dombivali is grabbing all the attention and eyeballs with many of the famous developers offering 2 BHK Flat in Dombivli Under Construction along with the area configuration of 1 BHK as well. And Regency Anantam tops the list in offering 2 BHK Flat in Dombivli East with the best of planning, amenities, and facilities making it a complete township project that is winning hearts of the industry and customers alike.